We began with goat cheese, and built our reputation on that. Over the years, we realized that growing the business meant buying in milk rather than adding more animals. Our search for additional goat milk has so far been fruitless, so we have turned to other milks. 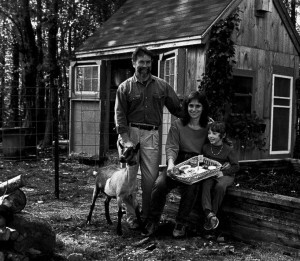 In 2004, we began a partnership with EllsFarm sheep dairy in Union, buyin g all their sheep milk, and added artisan sheep cheese to our line. 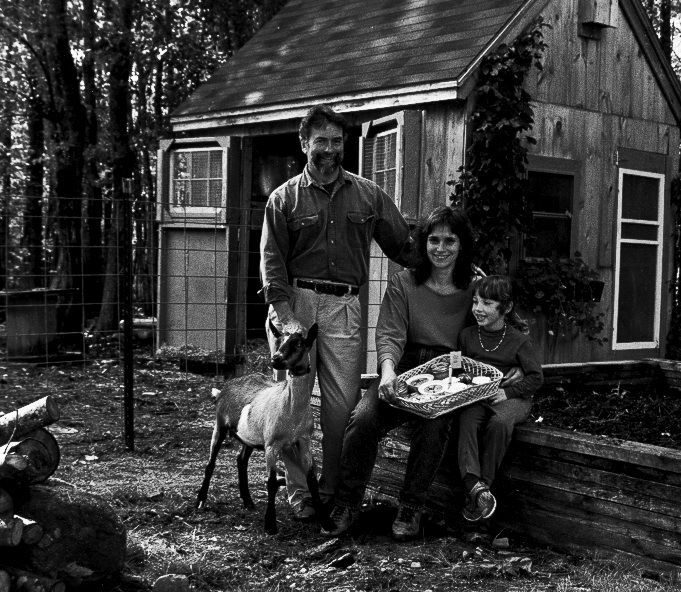 In 2006, we did the same with our friends at Grassland Farm, buying cow milk and introducing a new line of artisan cow cheese as well. Over the years, we have bought in milk from Hope’s Edge Farm, and are currently using cow milk from Springdale Jersey Farm in Waldo. Diversifying our product line keeps things fun and challenging, as well as continuing to make cheese available year round. 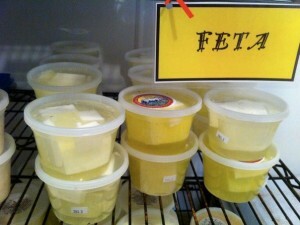 Our main cheese offering is chevre, a French style of fresh goat cheese, brought to market within days of being made. Our chevre comes packed in 4-, 8-, or 16-ounce tubs in a variety of flavors, and in a variety of shapes such as rounds marinated in olive oil with roasted garlic and herbs (1999, 2004 and 2006 American Cheese Society winner! ), rolled in lime pepper or herbs, wrapped in a brandied grape leaf (consistent American Cheese Society winner), or in glass gift jars in olive oil. We have also developed a slightly aged wheel of chevre rolled in herbes de provence, named “Sennebec”, one rolled in Chipotle and one rolled in Lime Pepper. 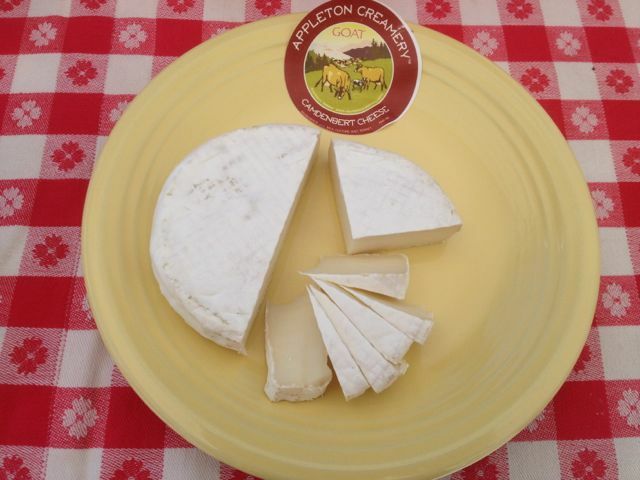 All our goats milk cheese is made by hand in small batches. We follow traditional methods, with an eye to quality control and detail. See our awards page. Our feta is made in the old-world style, dense and salty. At holiday time we offer a gif jar of feta in olive oil with kalamata olives and sun-dried tomatoes. Our Farmers’ Market favorite is a 5-oz. round of classic plain chevre marinated in olive oil with roasted garlic, peppercorns, bay leaf and herbs. With a loaf of crusty French bread, makes a simple and elegant meal. 1996, 1999, 2004 and 2006 award winners! In July and August we make a variation that our customers line up for: with fresh basil and garlic and pine nuts. 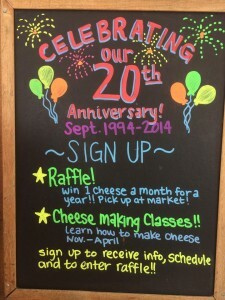 2003 First Place Winner at the American Cheese Society competition! 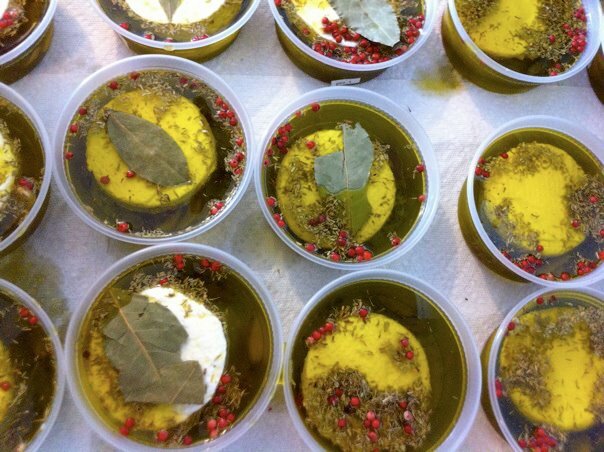 Seasonally, we also make Chevre Buttons in Olive Oil, tiny medallions of chevre with rosemary, juniper berries and hot peppers in olive oil. Usually packed in glass gift jars. 1999 award winner! Granite Kiss: a soft-ripened goat cheese layered with vegetable ash. Pretty as a layer cake! Goat-chego: A Manchego-style aged goat cheese, that we developed after we had to drop the sheep milk cheeses. Very proud of this one! 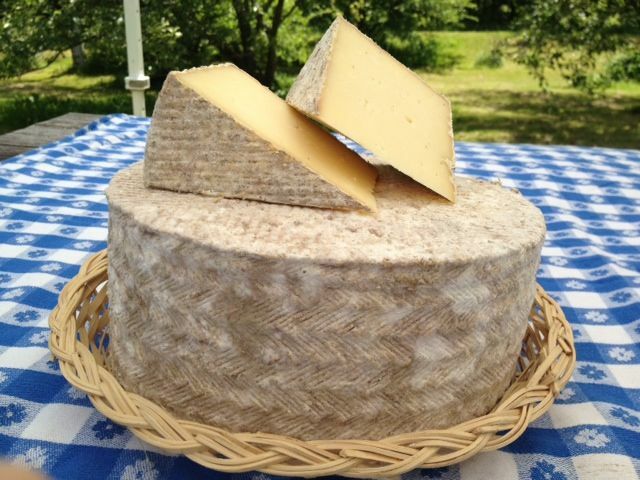 In 2004, we introduced a new line of cheese from sheep milk from EllsFarm in Union, Maine. We won national awards for our yogurt, feta, bloomy rind, and aged sheep cheeses. Sadly, EllsFarm closed, and we have lost the sheep milk supply, and are no longer making sheep cheese. However, there are several other sheep dairies starting up in the state, so that niche is being filled. Be sure to check out Fuzzy Udder Creamery in Whitefield, where sheep milk cheeses are created by our dear friend and former apprentice, Jessie Dowling. 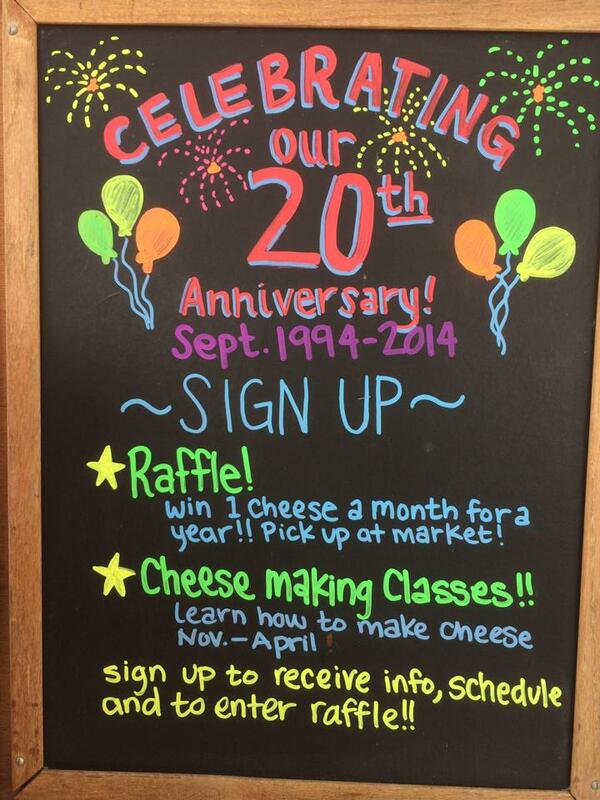 In 2006, we began introducing cow milk cheeses. 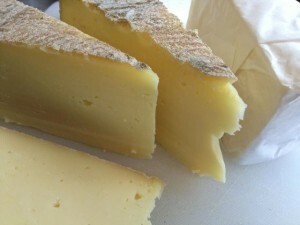 Gurneytown Gouda: a Leyden-style cheese with toasted cumin seed. Makes a great mac n cheese or omelet! ThomasTomme: traditional tomme usually from cow milk, but occasionally mixed with goat. Occasionally, we will make mozzarella and ricotta. Goat cheese (chevre) is lower in calories and easier to digest than many other cheeses. The high digestibility of goat cheese results from the unusual structure of its component fats, which are generally small molecules made up of short-chain fatty acids. Their small size makes them easier to break down and digest than the larger-chain fats of cow milk and cheese. Goat milk and cow milk are similar in calcium and phosphorus mineral contents. Goat milk, however, has greater quantities of potassium, vitamin A, thiamin, and niacin. Chevre lacks folacin (folic acid) and vitamin B-12.